A record label that talks a lot about music, and occasionally even releases some of its own. Little Dickman Records and State Capital Records have teamed up once again to release the latest LP from Lost Boy ?! 14 more killer tracks from Davey Jones and company. Uber limited to 200 multi colored splatter vinyl copies with hand screened jackets available to preorder in the State Capital Shop. Shipping the week of 9/9. Due to a backup at the pressing plant, the limited edition of 75 colored vinyl Sharkmuffin LP will be shipping in late August. If you ordered it, (thanks!) sit tight. You will definitely get one as soon as they are pressed. If you haven’t ordered one yet, we still have a handful to go around. It’s a fantastic record and you should pick one up on the shop page! Deepest apologies on the delay. We are working on it, I promise! 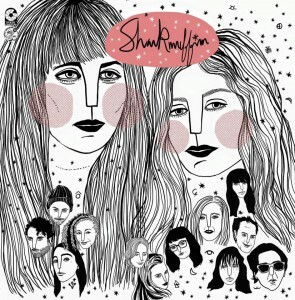 STATE CAPITAL RECORDS & LITTLE DICKMAN RECORDS PRESENT SHARKMUFFIN! State Capital Records and Little Dickman Records could not be happier to announce the August 7, 2015 co-release of the debut full length LP from Sharkmuffin entitled CHARTREUSE. With 10 ferociously heavy tracks clocking in at just over 20 minutes, this record is certain to stay on repeat on your analog and/or digital device for some time to come. Preorders for the yellow and silver swirl vinyl are strictly limited to the first 75 orders, and are available now on the store page of this very website. Black vinyl will be available after the colored sells out which wont take long, so order now! All records will begin shipping on August 7, 2015. 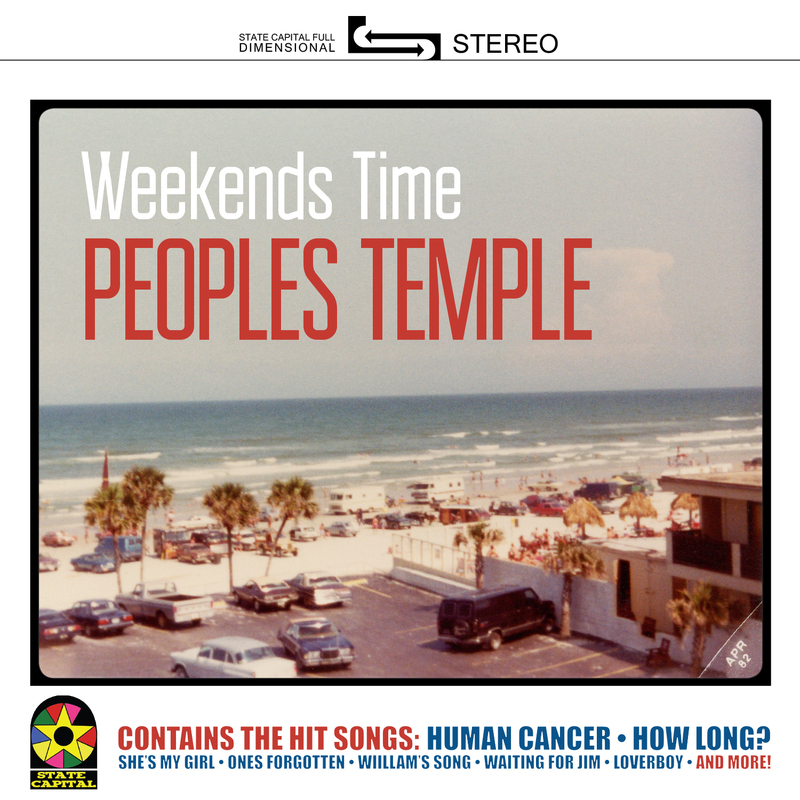 State Capital is proud to present Peoples Temple as the newest addition to the label. SCAP is planning to release the 4th Peoples Temple LP (2nd this year!!) entitled Weekends Time. The LP contains 9 new recordings including 2 Ariel Pink covers. Ultra limited edition of only 50 copies on pink vinyl available only at the State Capital Shop. Black vinyl will be available at your favorite record store. THE LIMITED PINK VINYL LP IS NOW SOLD OUT!!! We still have a somewhat less limited, but still limited number of black vinyl copies available in the shop. All orders will be shipping at the end of September. ****DUE TO A DELAY AT THE PRESSING PLANT, ALL PRE ORDERS OF “WEEKENDS TIME” WILL SHIP THE WEEK OF 10/5. SORRY FOR THE DELAY! But hey, you can just blame yourself for buying so many records and clogging up the few remaining operable vinyl pressing plants in North America. Or you can be like the pressing plants, and blame The Beatles. Either works. Regardless, if you ordered a record, its coming. I PROMISE! State Capital Records is happy to be partnering with Bobby Cahn Records to release the first vinyl LP by Philadelphia’s Work Drugs. The LP will be released on December 4th, 2012 on shimmering yellow vinyl. We are working to migrate the site from GoDaddy to a more simpler wordpress site. Stay tuned.